I'm posting an update provided by Thames Water on the flooding in Clapham Road last night. Lambeth Councillors are keeping a close eye on developments and the Oval ward councillors (which is where the flood is located) are contacting residents. As you will be aware, the A3 Clapham Road in Kennington is closed due to flooding after a high-pressured 30-inch Thames Water main burst across the carriageway at around 8.30pm yesterday evening. The road remains closed both ways between Oval Station and Caldwell Street while engineers work to inspect and then repair the damage, although the flooding has not affected the underground station. It is important to clarify early media and eye-witness reports that the flooding was “a torrent of sewage”. In fact, it was clean water which had turned murky after picking up mud and sand from the road. By midnight, our teams had shut off the water supply to the broken pipe and water supplies had been restored to the vast majority of affected customers in the area. The focus of the team now is to fix the broken water pipe as soon as possible and get the road back to normal. We’re really sorry to anyone who has been affected. 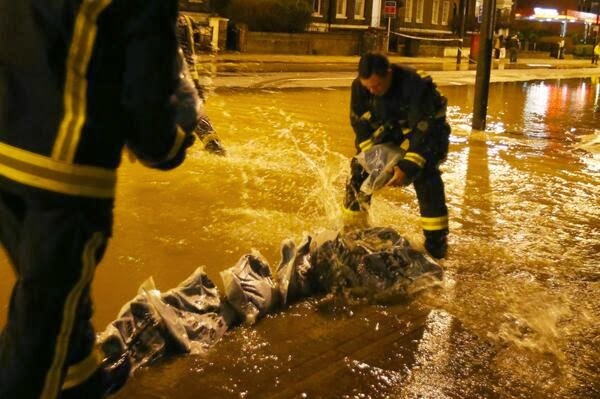 The water is believed to have flooded one basement flat, although the resident was not “evacuated” from their property, as was also suggested in the media. We will now be working with the police and Lambeth Council to inspect the damage and carry out what is expected to be a complicated repair, with other utility pipes in the close vicinity of the broken main. Listen Obat Mata Minus Good luck !! Because Obat Telapak Kaki Yang Pegal Outstanding !! Sharing Obat Kencing Tidak Tuntas keep Obat Gondok Beracun amazing !! this Obat Pusing Karena Asam Lambung good luck always !! I'am very excited to share this article on the site Obat Kornea Keruh and Obat Flek Paru-Paru amazing !! That's a great information that you have described on this page. I'am share Obat Bekas Cacar Di Seluruh Tubuh they Obat Ruam Popok Thank you ! I'am share Obat Pengapuran Tulang Lutut again Obat Ginjal Bocor still Obat Tipes message Obat Eksim di Selangkangan ok! Indian Navy Recruitment 2017 Notification Available. HCL Recruitment 2017 Notification; Hindustan Copper Limited Vacancy Notification Available Here. CIIL Recruitment Notification and while clicking on the given below link you can get more updates recruitment notification and also upcoming jobs recruitment notification. thank you for regular updates with interesting post. Recruitment Through GATE 2018 Click & get more information about GATE. With the help of GATE Previous year papers you can score good makrs in exam click here for download.